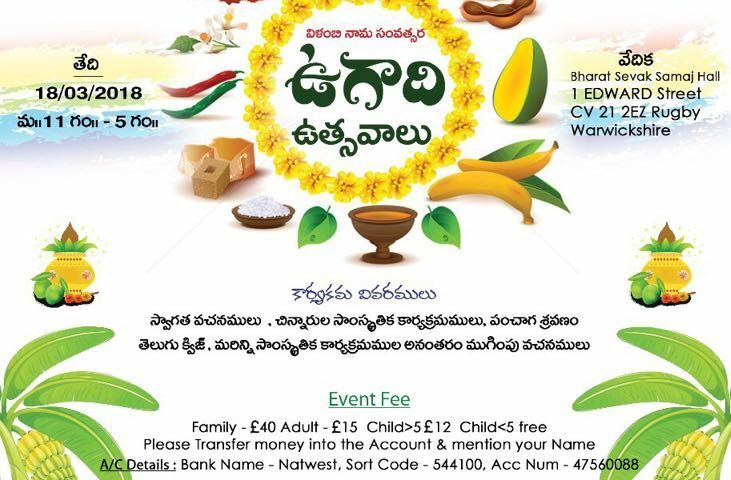 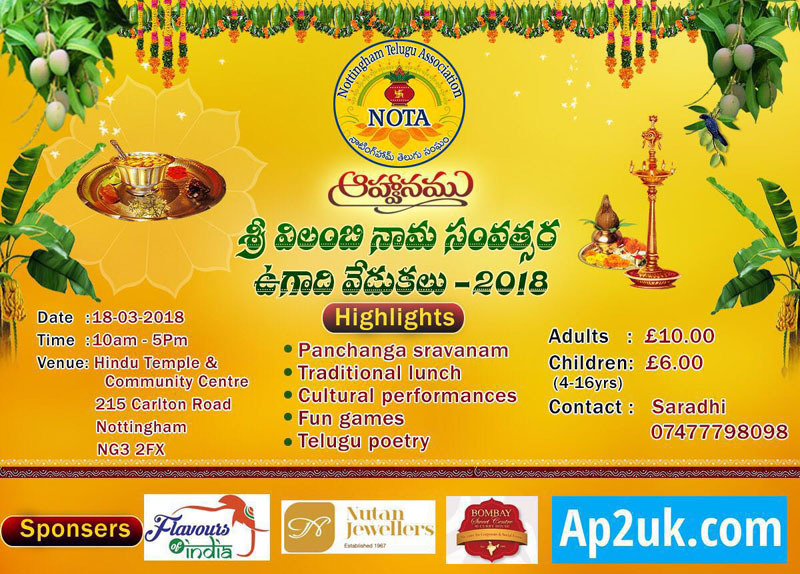 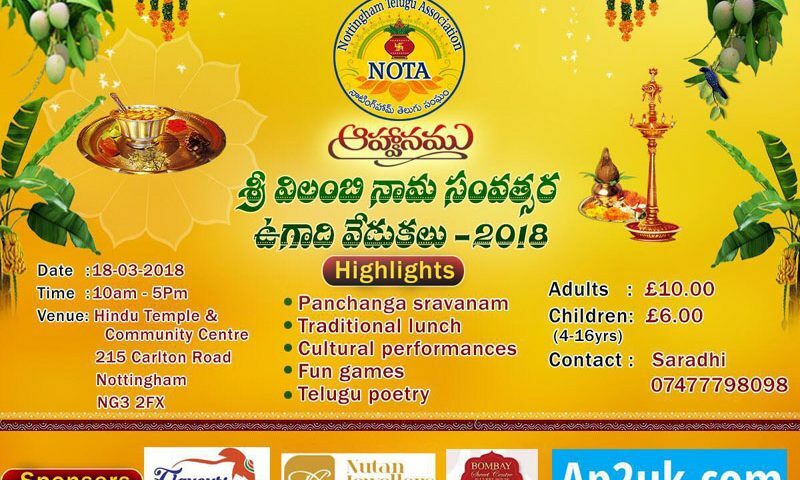 All Posts in "Cultural Events"
NOTA (Nottingham Telugu Association) Sri Vilambi Nama Samvatsara “Ugadi” Vedukalu – 2018. 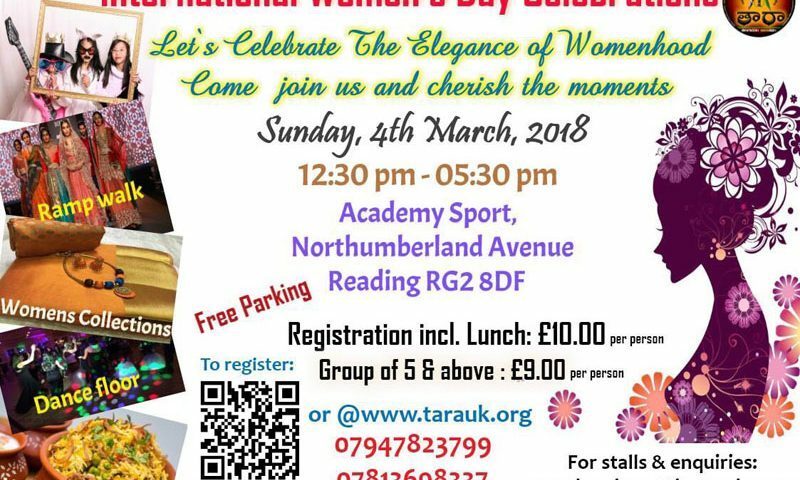 TARA welcomes all the women to join the celebrations. 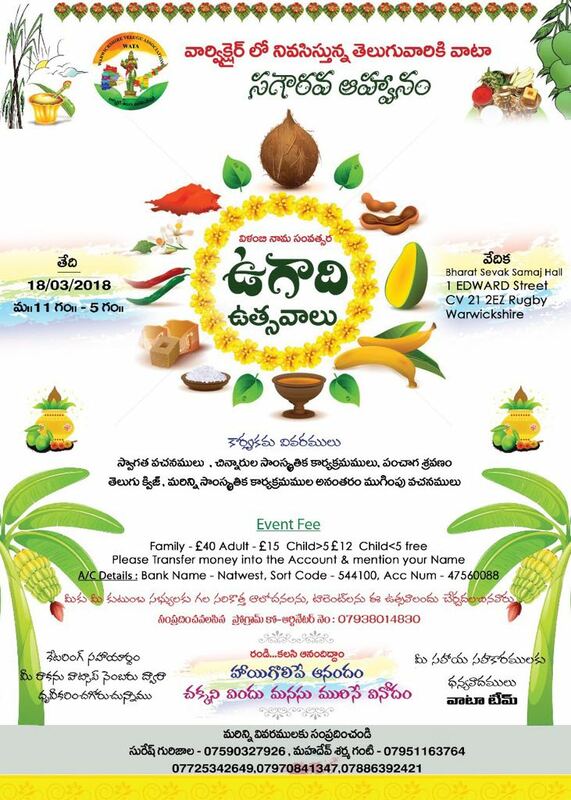 Lunch included in the registration price. 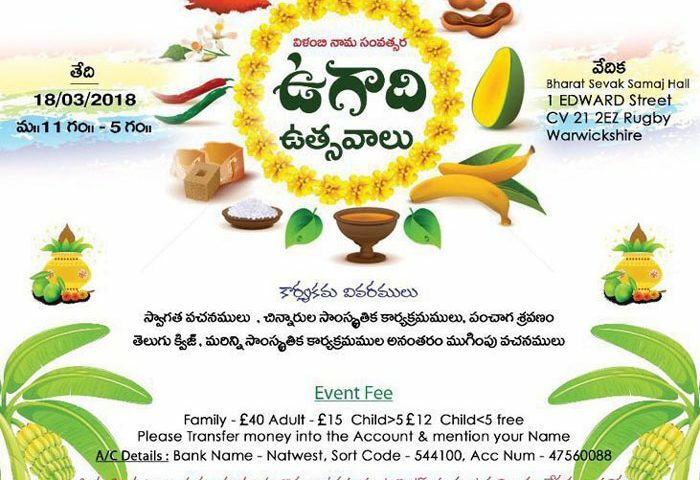 ugadi celebrations 2018 in UK on 18/03/18 at Bharat Sevak samaj Hall 1 EDWARD street CV 21 2EZ Rugby Warwickshire.